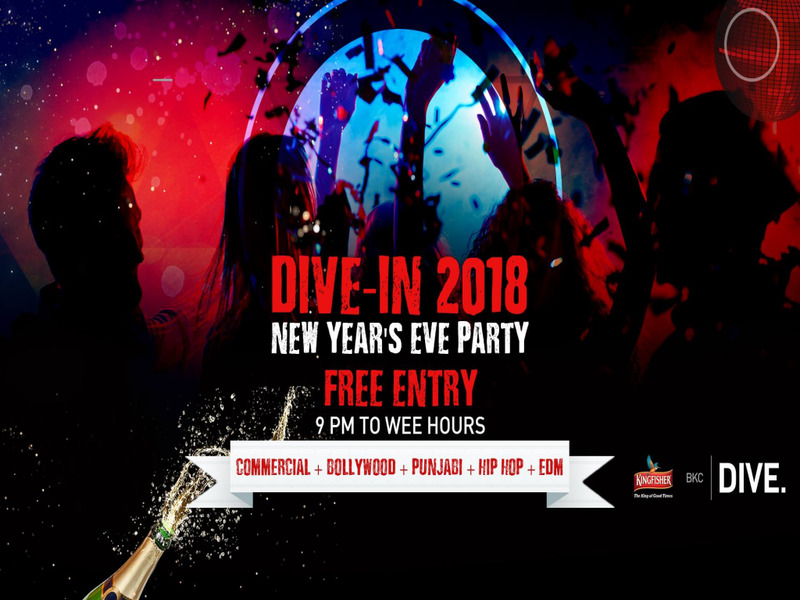 Head to BKC Dive for the biggest celebration of the year and DIVE-IN 2018 with your best vibe, style, swag, and memories. Put on your dancing shoes and enjoy the best of music right from Commercial and Bollywood to Punjabi, Hip Hop, and EDM. While the DJ goes live, dive into some amazing pocket-friendly food and beverage offerings too. And the best part is, you won't feel your bank account getting empty, just pay for what you eat or drink. Grab a seat, pour yourself a tall glass of your favorite drink and let your senses be engulfed by the magic of music only at BKC DIVE this NYE, a party that you will never forget!